The Matthews Indie Mount is an affordable and reliable solution for mounting smaller camera packages to autos, RV's, boats, windows, countertops... virtually any smooth, non-porous surface! 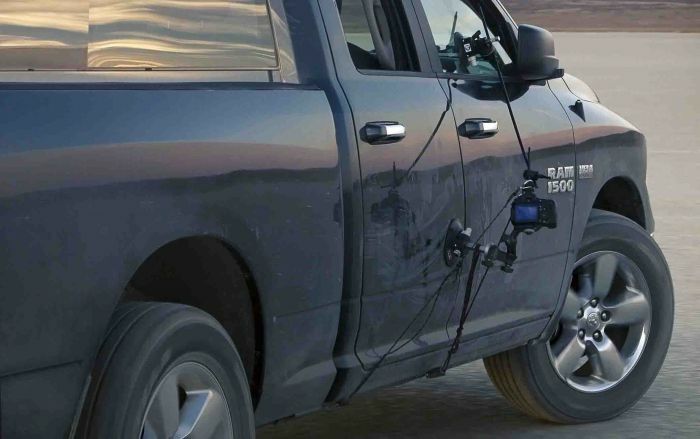 The Indie Mount allows the user to mount cameras in dozens of places around the exterior and interior of the vehicle, securely and safely. 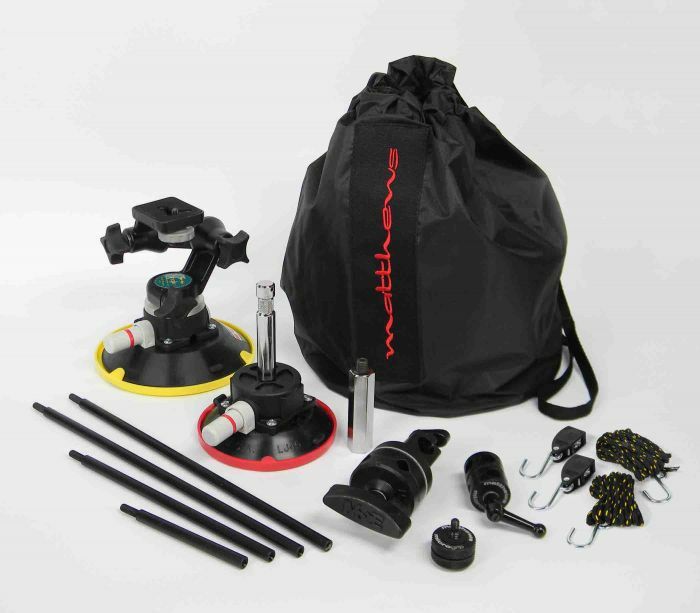 The system uses a combination of MicroGrip technology, Vacuum Cups, one articulating camera mount and our new quick strut triangulating system. 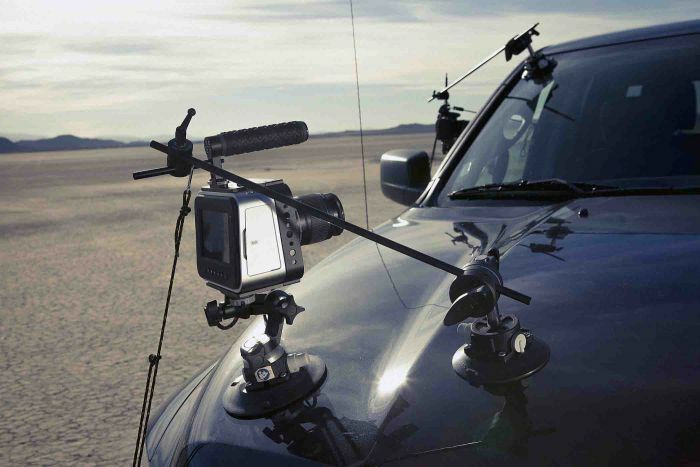 Setting up a car shot with the Indie Mount takes just minutes! Simply mount the main 6” Cup with articulating camera mount, mount your camera, frame your shot, add the support cup and arm, secure your struts and you're off! The different length Micro Grip rods can be attached via the terminating ¼-20” threads, giving you a dynamic reach of 4”-32” for the second support cup. 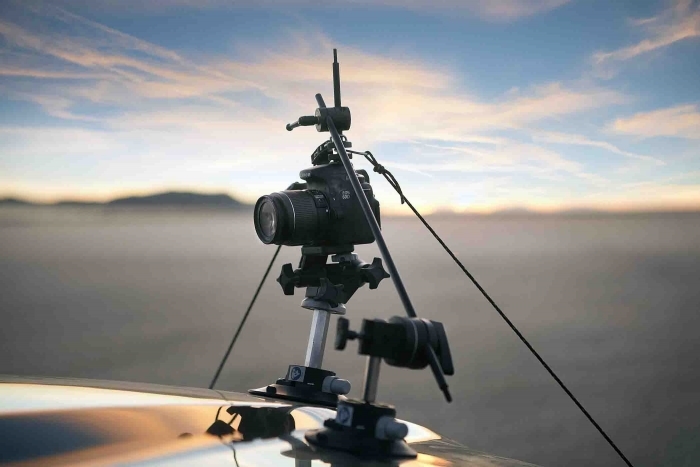 The 3” camera riser was included to give you more of a reach when trying to get the camera further away from the car and can also be used as a right angle adapter for that must have profile shot! How do the struts work? The quick struts not only keep your camera from falling if the Vacuum Cups were to come loose, they are also used to triangulate and keep the mount in stress with itself, making for a rock solid mount. With the quick struts, you simply attach the two hooks and pull the loose end of the rope for a secure, tight hold. The quick struts always stay tight, providing you with the confidence you need knowing your camera is hanging off a moving vehicle. To loosen them, just pull the rope to reduce tension and push the release button. How do the vacuum cups work? Because they attach and release in seconds, they can be moved quickly from one place to another on autos, RV's, boats, windows, countertops... virtually any smooth, non-porous surface! The rubber pad won’t mar or damage most surfaces and helps eliminate micro vibrations produced by the vehicles engine. A spring-balanced pump ensures a consistent vacuum level and a red-line indicator warns if there is any drop in holding power. Just a few strokes on the plunger will remove the air from between the mount's vacuum pad and the mounting surface. As long as the mount maintains a reliable hold, the plunger remains partially hidden inside the pump and the red line is not visible. If the red line appears, another stroke or two will restore full holding power. A firm push or pull on the rubber tab at the edge of the pad releases the mount. Each Vacuum cup is supplied with pad protector. Vacuum cups employ the force of atmospheric pressure to grip a surface: When a vacuum exists between the cup and the surface on which it is attached, the weight of Earth's atmosphere holds the cup in place with incredible force. 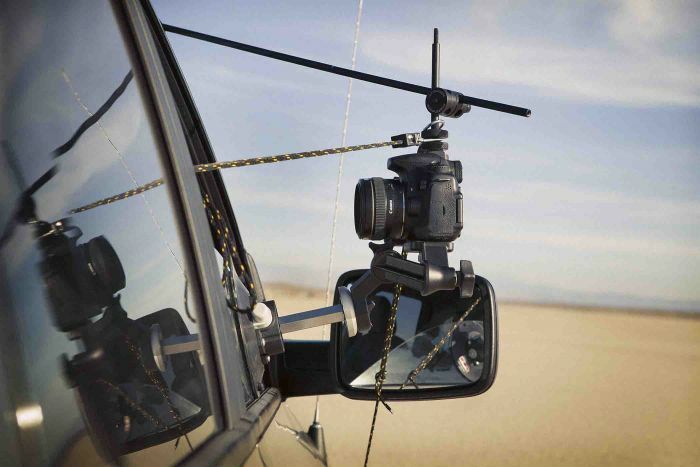 Matthews new Indie Mount PN 415175 is a reliable car mount for DSLR's, Small 4K and Action Cameras with endless possibilities. 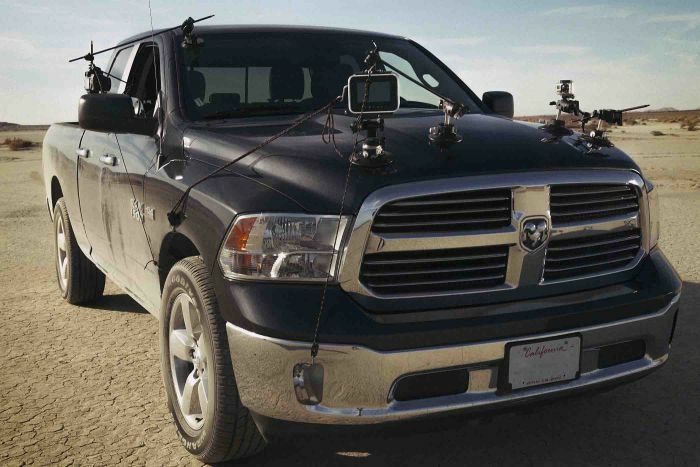 One affordable car mount kit with professional results! - Hood, Side/Profile, Window, Roof, Wheel, Rear, Interiors, and many more!